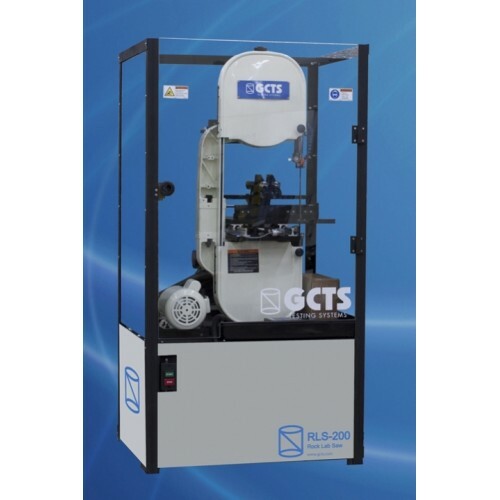 RLS-200 Rock Lab Saw - OFI Testing Equipment, Inc.
Automatic rock core saw with industrial electric 1 HP motor. 14" aluminum wheels regulate band-saw motion. Band-saw with industrial diamonds. 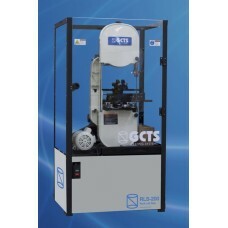 The RLS-200 features automatic sample feed mechanism with adjustable feed rate and can accept up to 6" (15 cm) diameter samples. A safey enclosure with cut-off switches comes standard with the saw.